Double Book Review: Wayward Children #2 & #3 by Seanan McGuire | A Book. A Thought. 4 January, 2019 3 January, 2019 / Sofii @ A Book. A Thought. Twin sisters Jack and Jill were seventeen when they found their way home and were packed off to Eleanor West’s Home for Wayward Children. Jillian was her father’s perfect daughter—adventurous, thrill-seeking, and a bit of a tom-boy. He really would have preferred a son, but you work with what you’ve got. WOW, I didn’t expect this book to affect me so much, it’s really good, and so far my favorite of this series, I know it’s only the second but OMG, that was very good. I loved knowing more about the story of the twins, Jack and Jill, I think they are the most interesting characters and I love every part of this book, the world where they went is AMAZING and how, having taken different paths, changed them so much. The way in which they grew up marks without doubts the people that are today. This book explains a lot that happend, later, in the first one. Jack is such an intelligent and independent girl, in spite of her childhood and all that she has lived, I think her personality was always very strong. I think that despite serving the doctor, she could be a good leader, I really like her, and her relationship with Alexis was so beautiful, all those last 2 chapters were heartbreaking for me. I feel that this very well developed, especially the secondary characters all have a unique and well-marked personality that puts a unique touch to the story. The Master is a brutal and bloodthirsty character and although he doesn’t appears that much, the general idea of ​​him is brilliant. And Dr Blaek is a very serious man and dedicated to his work that although he’s distant, I feel he has a good heart. 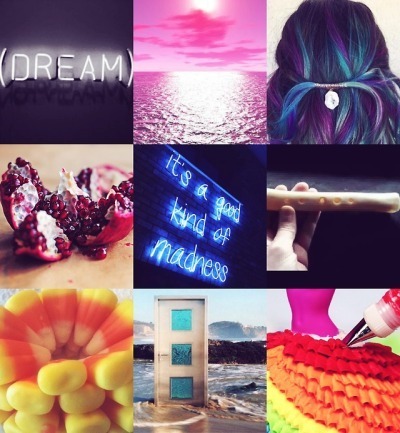 Beneath the Sugar Sky returns to Eleanor West’s Home for Wayward Children. At this magical boarding school, children who have experienced fantasy adventures are reintroduced to the “real” world. Sumi died years before her prophesied daughter Rini could be born. Rini was born anyway, and now she’s trying to bring her mother back from a world without magic. The ending was so adorable, I liked this book but I confess that it’s my least favorite of the series so far. Although it has the magic feels and the beautiful writing style that characterizes the series, it wasn’t enough for me and I think it fell short in terms of the plot. On this occasion with this book, we follow a new character named Cora, who together with Christopher, Nadya and Kade will undertake a journey to resuscitate their old friend, after her daughter Rini fall from the sky just above the school, asking for their help. The thing is that if Sumi dies, she’ll never be able to return to her Nonesense world and defeat the Queen of Cakes, nor will her daughter Rini exist and this would only bring chaos to her world. So our boys will embark on an adventure, where they’ll travel to a very sweet world. The ending was so beautiful, I really loved it. I enjoyed much more the first part of the book, though, and I’m not that surprised, in general when the characters are involved in a trip and a quest, I usually get bored or easily distracted, but it’s totally personal. You have the exact same thoughts as I do about these two books! 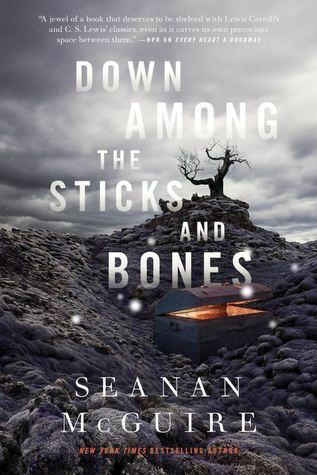 Down Among the Sticks and Bones is also my favorite (and I’ve already read book #4) and I really didn’t like Underneath the Sugar Sky much at all, it was just too silly for me. Sofii @ A Book. A Thought. I’ve heard great things about this series, but I haven’t read it yet. I definitely want tocread Every Heart a Doorway and then if I end up liking it, then I’d like to read other books too. I just recently read Every Heart a Doorway, and I think I need to read the rest of the series now too!! I just started reading a while ago. I still don’t know how to identify a style of writing. I have no idea on what I like to read. Your reviews help me! Thanks! 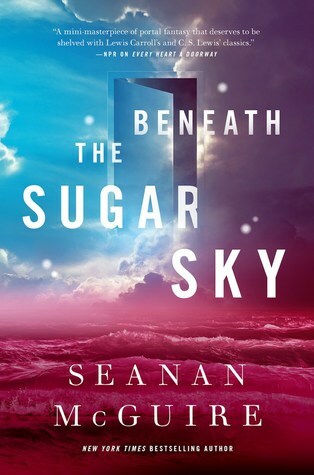 Beneath the Sugar Sky was my favorite of the series so far 🙂 While I am not big on Cora I liked the questions about existence fate and being in a nonsense world. I’m glad I kept going on these! They are!, they’re very magical stories! These books sound really interesting 🙂 I love books in a school setting, especially when some fantasy elements get thrown in! Same! Stories with school setting are great! 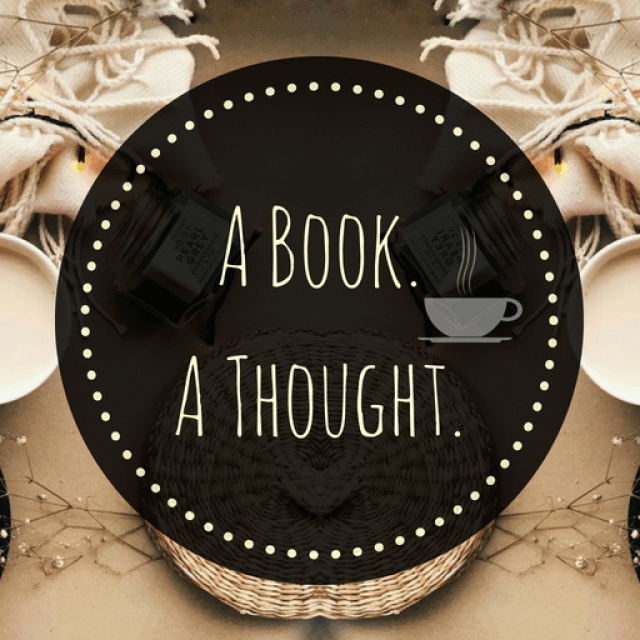 Pingback: ARC Book Review: In an Absent Dream (Wayward Children #4) by Seanan McGuire | A Book. A Thought. Pingback: January Wrap Up || 2019 | A Book. A Thought.